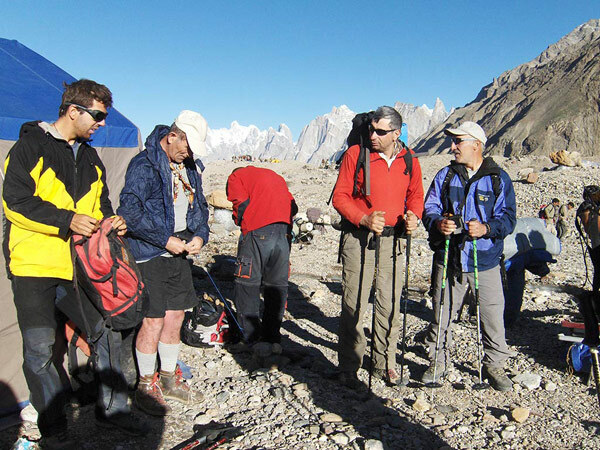 Yesterday, june 24 we finally reach Base Camp at about 5000m altitude on the upper part of the Abruzzi Glacier, 8 hours from Concordia. Given no shadow where to hide, our one week 80 km trek from Askole and along the Baltoro Glacier was loooong and arduous but it helped a lot with our acclimatization since we progressively spent nights at intermediate altitudes at around 3105m, 3450m, 4130m, 4380m and 4600m. And that’s the right and wise thing to do when arriving at altitude: just take it easy and let your body get used with the lack of oxygen in the air. 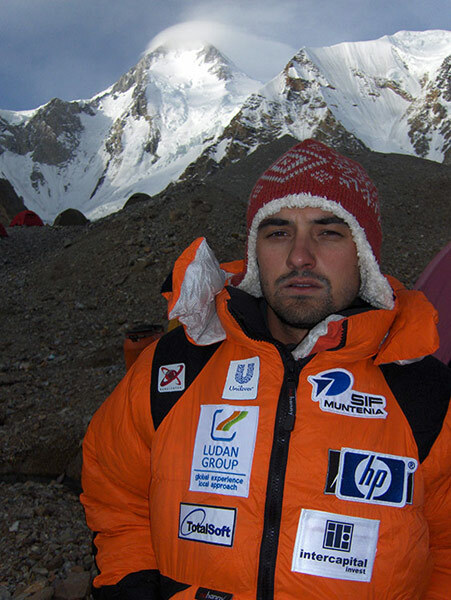 For a short explanation of the acclimatization process you can check my previous expedition update from the last year on Cho Oyu at http://chooyu.cloudclimbing.ro/index.php?page=8&lang=1 and see the September 13th post. 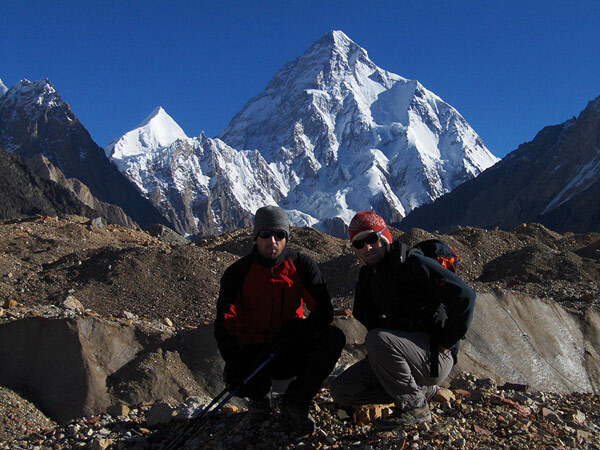 To date, the weather has been absolutely perfect, a strange thing for the Karakoram. Let’s hope will keep it like that as long as possible. 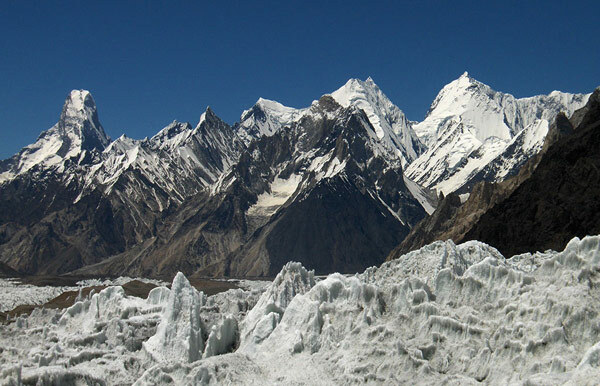 By the time of our arriving in Base Camp it seemed no team had reached and established yet Camp 1 over the ice fall at around 5900m. And some guys are already here for ten days. Apparently the ice fall is very dangerous this year and fixing the ropes and negotiating the crevasses will take a lot of work. 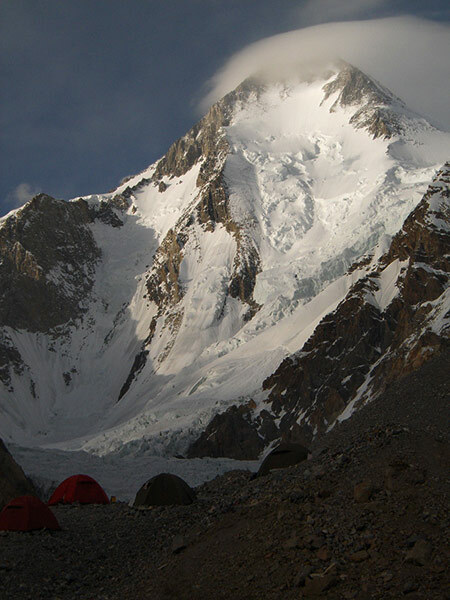 From our tents we can only see Gasherbrum 1, G 2 being hidden by some ridges of Gasherbrum VI. 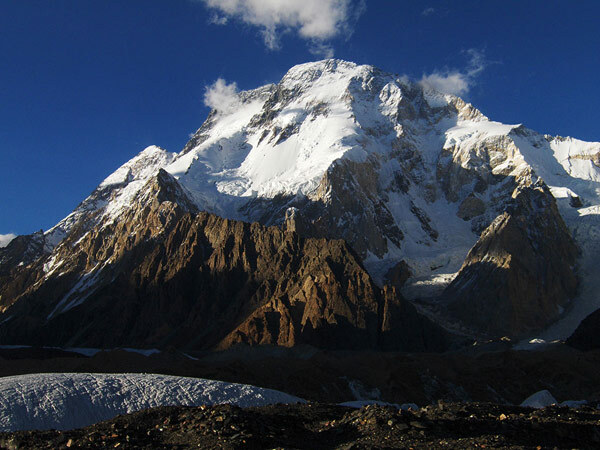 Today and yesterday we had witnessed three avalanches on the slopes surrounding the Base Camp: the first being along the path we came from Concordia, quite late in the evening; the second just coming down from Gasherbrum 1 in the very morning and completely traversing the ice fall and the third, a “small” one, just coming down the Baltoro Kangri. Just to remind us there is no real algorithm of producing these events. To minimize the danger we plan to go up to Camp One early in the morning, maybe 2 or 3 a.m. while everything shall be dead frozen. But this no earlier than June 27th since we still need to acclimatize. 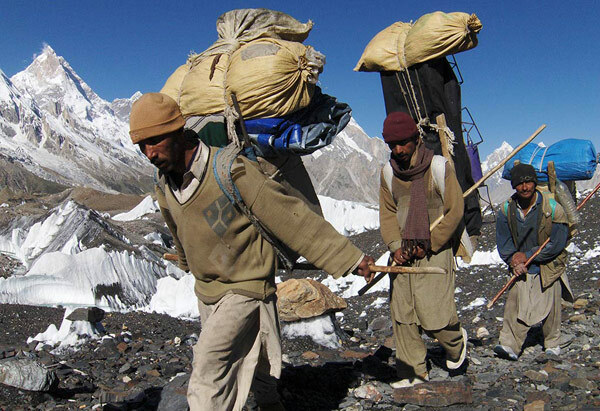 Further on we intend to establish 2 more camps at around 6500 and 7100m. 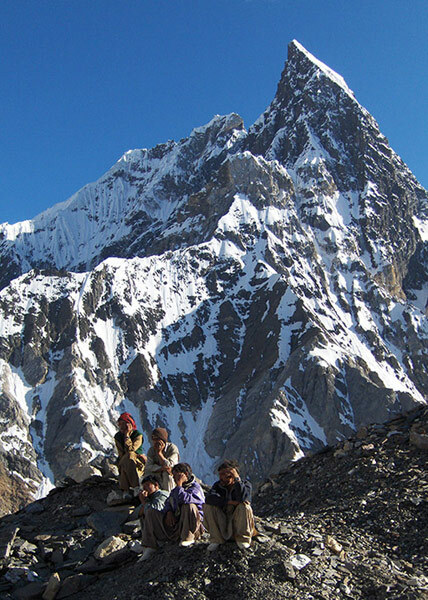 We still have to decide whether to make our summit bid directly from from Camp 3 at 7100 or to go for a lighter Camp 4 at around 7400m. 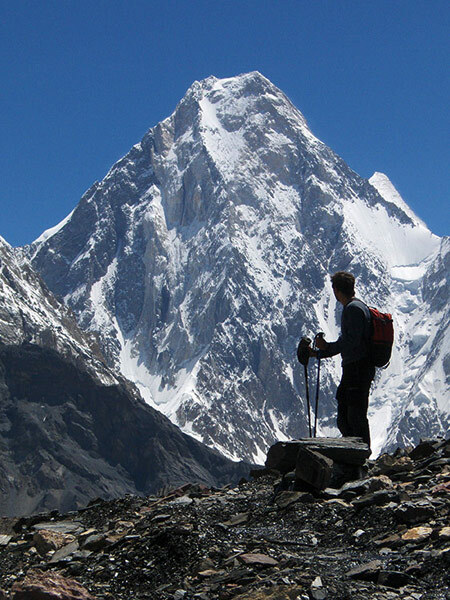 In this moment I personally prefer to go directly from Camp 3 and have a longer and more difficult summit day than spend a night more at altitude in Camp 4. I think this is safer but much much more demanding. But let’s see first how both Andrei and myself will feel.